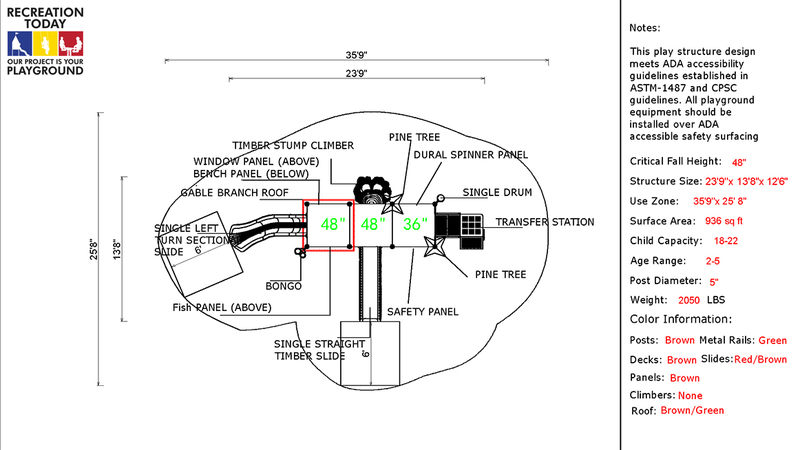 Playground design and planning focuses on safety first. All steps, site evaluation, equipment selection, safety surfacing choices, traffic flow, and even site furnishing and facilities placement can all play a part in the focus towards safety. Great playground design and planning does not just focus on the equipment, it considers the entire play space, and includes inclusive play for individuals of all abilities. Recreation Today will help you maximize your site’s full play potential. 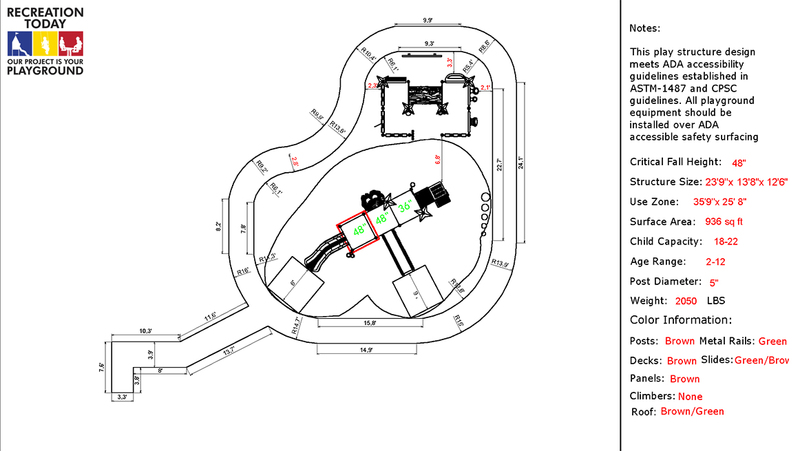 Here are some basic site considerations you will need to plan for. Identify and mark existing utilities in advance, including gas, water, and electric lines. Your local utility companies will perform this service for you. 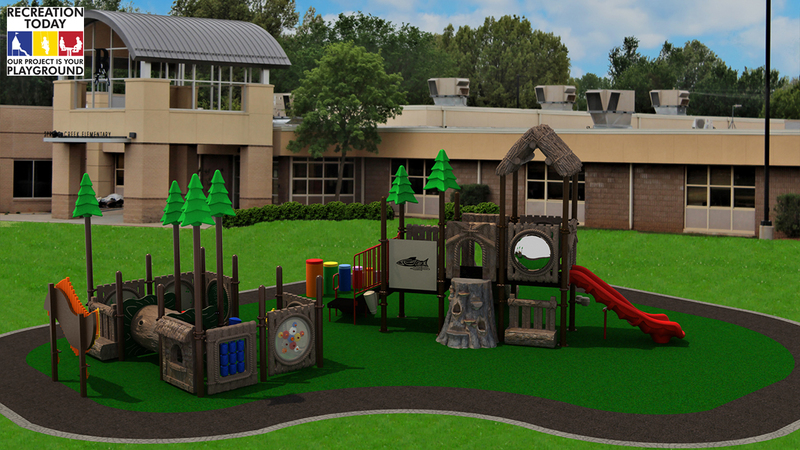 Your site should be large enough to accommodate both active and quiet play areas, as well as amenities like parking. Save on site preparation expenses by choosing a site that’s relatively flat and provides adequate drainage. We will help you plan clear pathways and access points to promote good traffic flow on, into, and around the playground equipment. We will also make sure that maintenance and emergency vehicles have direct access to your playground, and that all areas are easily accessible to visitors of all abilities and all ages. 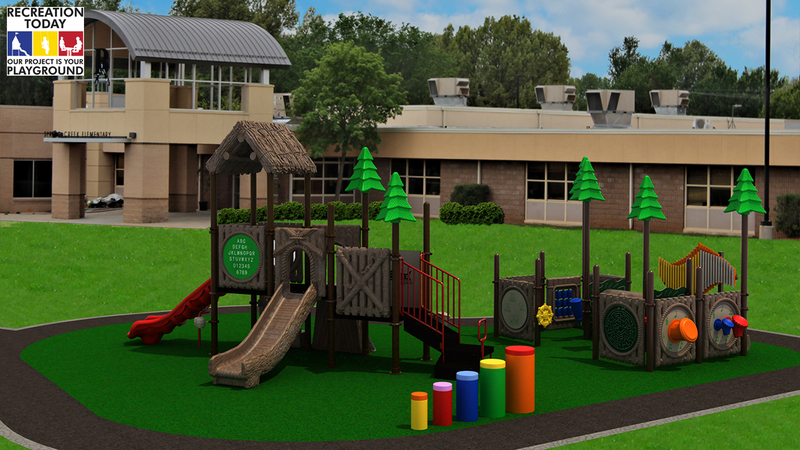 We can assist you in designing playgrounds for people of all ages and abilities. We believe that every child, regardless of ability, should have an equal opportunity to connect with other children through the power of play. We not only design equipment to meet or exceed ADA guidelines, we can help you create an inclusive, universally designed play space that enables kids to access play activities just by using their everyday means of mobility. You should consider not only children of all abilities, but what about those parents who might be in a wheelchair or walker who need to be able to get to their child on the playground? We can provide you with inclusive play and accessibility planning and design. When you decide on a playground, we will do all we can to assist you with the information on this page. We will provide you with 2D drawings and 3D posters showing your proposed playground, to help you decide on exactly what you want. We want to be sure it will fit correctly in the space you have available and to assist in your configuration. Here are samples of the 2D drawing and 3D posters that you will be provided with. 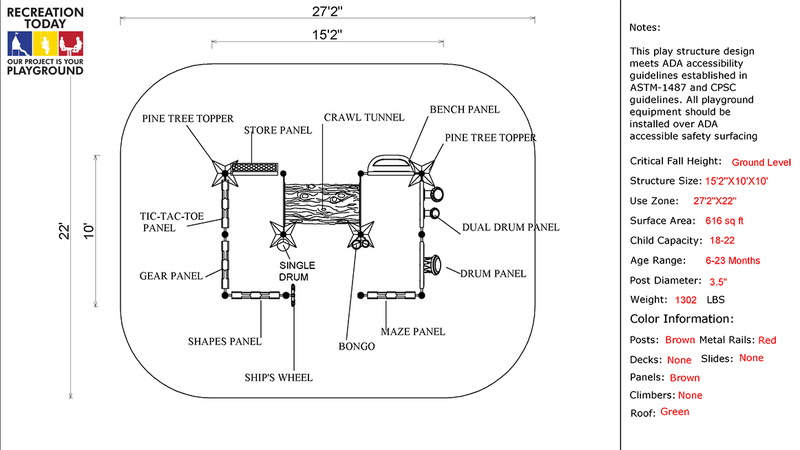 We will design your playground with use zones in mind — the amount of open space required around each piece of play equipment. You will also need to consider sight lines through the playground, to ensure that caregivers have clear visibility of their kids from any vantage point on your play space. Each year, over 200,000 children in the United States alone visit the emergency room due to playground-related accidents. According to the National Recreation and Park Association, it has been estimated that at least 33% of playground accidents could be avoided with a planned maintenance program. 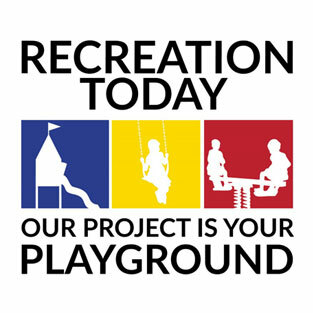 Recreation Today will help you properly plan for playground safety to ensure your playground will not contribute to the statistics. Choose equipment that meets playground safety guidelines. Consumer Products Safety Improvement Act (CPSIA). We are proud of the fact that our equipment is in full compliance with the material, testing and reporting requirements. Not only are we below the lead content in paint and substrate limits of this Act, we have eliminated 99.999% of PVCs and extended the restrictions on phthalates to all types, not just the six phthalates indicated in Section 108 of this Act. CPSIA. By restricting all phthalates to the limits of Section 108, we have gone above & beyond the requirements, and taken an extra step in alleviating health concerns regarding phthalates. We’ve also taken an authentic approach in saving the environment for future generations by eliminating 99.999% of PVCs from our products and the associated environmental concerns about dioxins potentially created during its manufacture and disposal. Different age groups have different recreational abilities and playground safety needs. Recreation Today makes it easy to ensure playground safety for all ages with prominent playground rules and age-designation signs. Contact us for a custom sign quote. Shading and shelters to prevent sun overexposure.